While doing a lot of historical illustration, I collected many costumes. 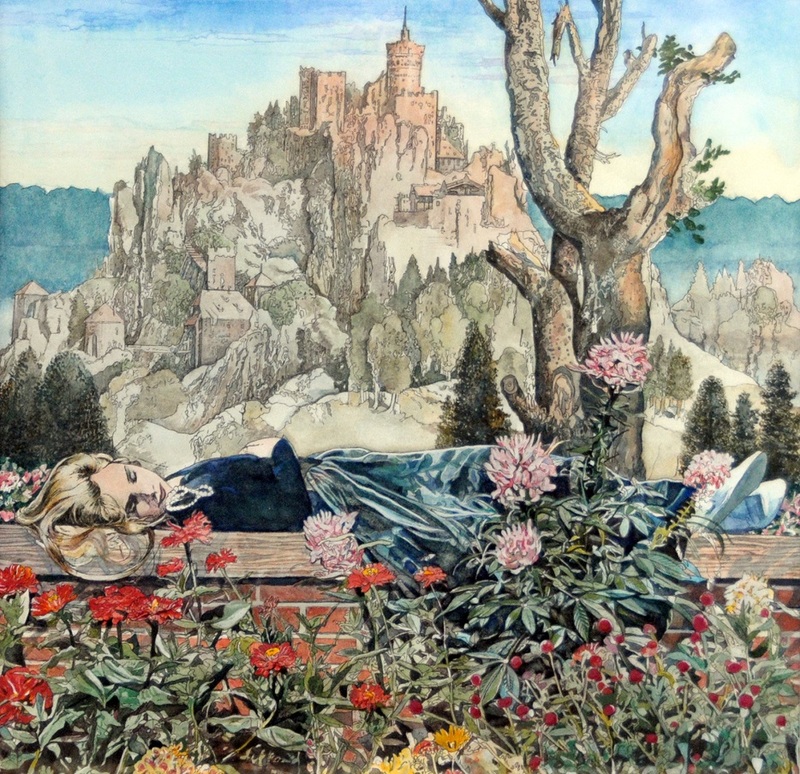 This drawing depicts my daughter Inga pretending to sleep on a garden wall at the Cary Arboretum in Millbrook, NY. An Italian mountainscape provides the backdrop. As the garden at the arboretum is now demolished, this art evokes a very dear bygone era.